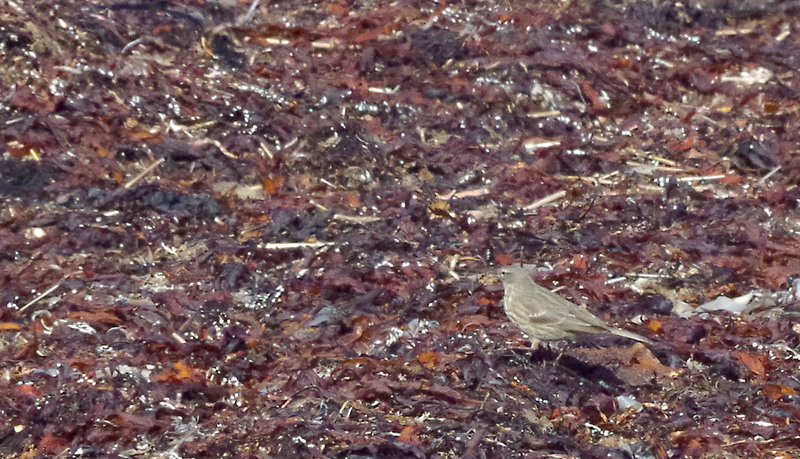 It's almost perfectly camouflaged, the rock pipit, when it goes hunting for insects in the seaweed. Haby bukt, Ramsvikslandet nature reserve, on March 25, 2018. Pentax K50, ISO 3200, 300mm, f/16, 1/600.